Harold Bloom, well into his sixth decade, exudes a lifetime of literary study and critical thinking, coupled with an irascible penchant for gnomic generalizations and grumpy political asides. Omens of Millennium—his 22nd book—manages to combine literature, religion, and politics in sometimes brilliant, sometimes baffling ways, which is to say it’s quintessential Bloom. While casting a disdainful eye on New Age spirituality in America, he presents us with a historical look at the rich religious traditions that form the basis for our fascination with angels, near-death experiences, and dream visions. Equally, Bloom defines his book as a “spiritual autobiography,” and interwoven throughout the text are references to his personal odyssey, including a breakdown at age 35 (“I got very wretched, and for almost a year was immersed in acute melancholia”) that first led him to study Gnosticism and find solace within its dark, existential spheres. If the phrase “we have been thrown into this world” seems to echo the existential philosophy of Martin Heidegger, there is good reason for this: the book which inspired Bloom’s Gnostic conversion 30 years ago was The Gnostic Religion, originally published in 1934 by Heidegger’s pupil Hans Jonas. The thrust of Bloom’s theology takes off from Jonas’s now famous epilogue appended to the 1958 edition of The Gnostic Religion and titled “Gnosticism, Existentialism and Nihilism.” A remarkable synthesis of Gnostic thought with the philosophies of Heidegger, Nietzsche, and Kierkegaard, Jonas’s epilogue continues even today to influence readers with its unique perspective, blending as it does cultural pessimism with personal transcendence. It presents a far more radical interpretation of Gnosticism than, say, Elaine Pagels’s extremely popular, but sanitized and New Age-ish The Gnostic Gospels (1979). To the extent that an “essential” Gnostic philosophy can be distilled from its many strains and off-shoots, it appears at heart to suggest a deep distrust of religious and political institutions and authority. Gnosticism preached that the God of Judeo-Christian tradition—the God of the Bible—was an imposter, an insane “demiurge” who sloppily created our false reality of flesh and sorrow, and who has no relation to the true Supreme Being whose existence is distant and removed from our corrupt world. The transcendent stranger God or alien God of Gnosticism, being beyond our cosmos, is no longer an effective force; God exists, but is so hidden that he has become a nihilistic conception, in himself. He is not responsible for our world of death camps and schizophrenia, but he is so estranged and exiled that he is powerless. We are unsponsored, since the God of this world, worshipped (as Blake said) by the names of Jesus and Jehovah, is only a bungler, an archangel-artisan who botched the False Creation that we know as our Fall. Gnosticism encouraged the idea that within each of us is a divine spark connected to this “alien” Supreme Being. The Gnostic mandate is thus to reveal and nourish the divine spark and manifest our true spiritual origins. The theme of “hidden truth” is common of course to innumerable varieties of mysticism, alchemy, and Kabbala, as well as “secular” enterprises such as Freudian and Jungian psychoanalysis. New Age spirituality, too, promises its adherents a glimpse into deeper, more “authentic” realms. To find your angel is not necessarily to find yourself, though most quests for the angels seem nowadays to suppose that a guardian angel is rather more like a dog or cat than like a husband or wife. You acquire an angel in the expectation that this addition to your household will give you perpetual and unconditional love. Bloom wants to restore to us the terrifying grandeur with which angels, as well as dreams and near-death experiences, have been portrayed in the distant past. To this end, he guides us through complex Gnostic myths and fascinating interpretations of Jewish, Islamic, and Christian literature, as well as the works of John Milton and William Blake, both of whom he’s written on extensively over the years. Bloom is clearly revisiting some well-trod paths of his previous books, but he is a master at reconceptualizing his observations and placing them in fresh contexts. His life-long interest in Freud forms the basis for the brilliant chapter, “Sigmund Freud’s Dream Book,” which locates The Interpretation of Dreams within a framework of mysticism and hermeneutics. Is Omens of Millennium a great or essential book? Perhaps not. It is, however, a fine showcase for one of our very best “readers.” Bloom’s textual interpretations are always deft and enthusiastic, and he is equally at ease with Shakespeare or Freud, the Book of Daniel or Paradise Lost. The most damaging flaw of Omens of Millennium is the book’s lack of a bibliography and index, not to mention footnotes, all of which would have been useful, and without which the book is rendered rather hopeless as scholarship. There are dozens of intriguing sources that Bloom alludes to or quotes from throughout his book, but the quotations—sometimes lengthy—are minus citations of any kind. Bloom’s arguments are never less than fascinating, but Omens of Millennium has the slapdash feel of a project written and published quickly to cash in on the very same rapacious New Age marketplace that Bloom lambasts so vociferously in the pages of his book. 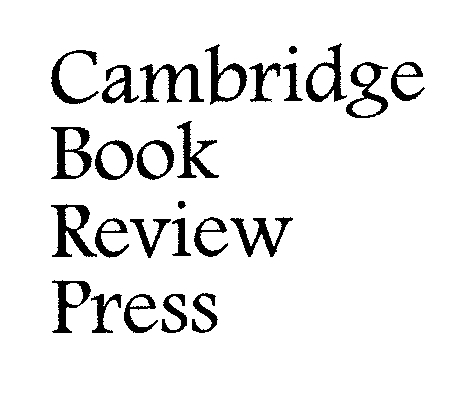 Bob Wake is editor of Cambridge Book Review.